Like any major world city Athens can be hectic and overwhelming, especially when you mix in the local “organised chaos” way of doing things. But beneath its fast-paced metropolitan exterior is a city oozing with history, dating back thousands of years to the earliest civilisations, waiting to be discovered by you. 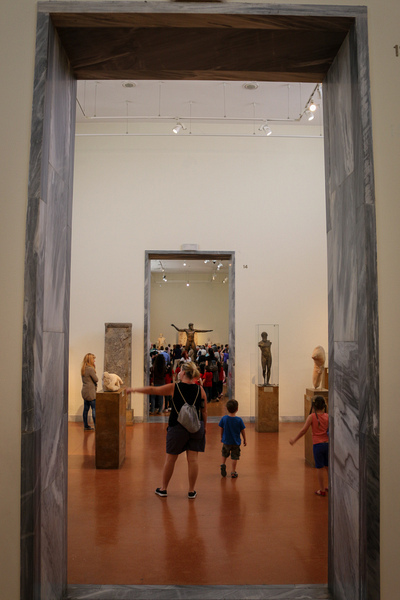 If you are visiting Athens start with these top 5 things and you’ll be off to a flying start. High on top of a rocky outcrop stands the ruins of the ancient stronghold, Acropolis. It overlooks all of Athens and contains the remains of several great architectural buildings, including the world-renowned Parthenon. There is evidence that the hill was inhabited as far back as the 4th millennium BC, however the buildings were mostly constructed in 5th century BC. The Parthenon was a temple dedicated to the Athena, patron goddess of the city. 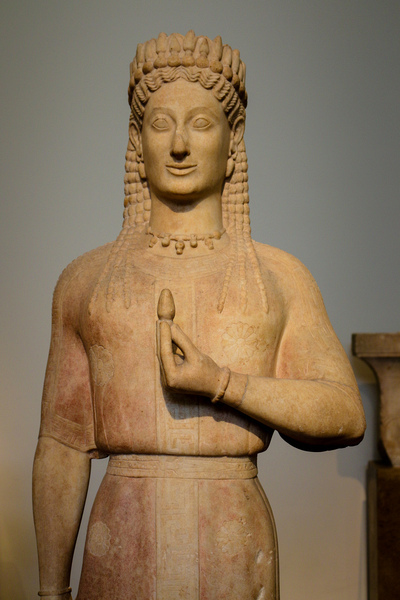 Its elaborate decorative sculptures are considered to be the zenith of classical Greek art. It is currently under substantial restoration, but still a beautiful site with phenomenal 360° city views. 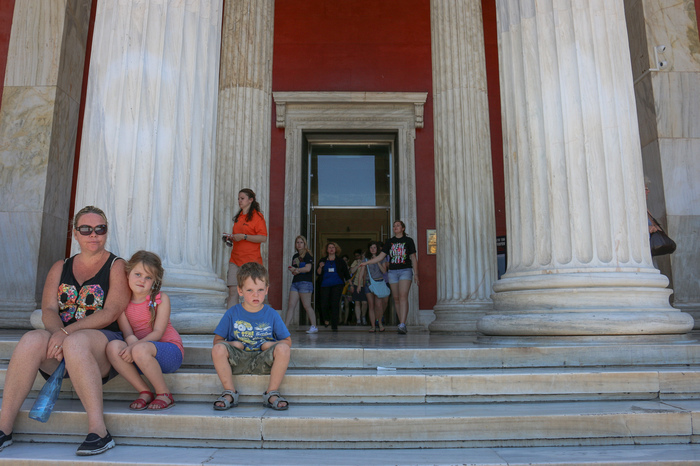 Entry Cost - For the Archaeological areas of Athens (Acropolis, Acropolis Museum, Ancient Agora, Theatre of Dionysus, Kerameikos, Temple of Olympian Zeus and Roman Agora) there is one united ticket for €12. Kids under 18 are free. 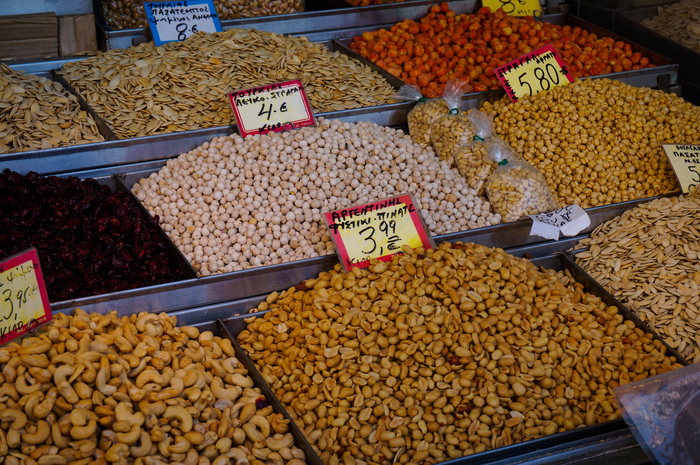 Plaka is the city’s oldest neighbourhood and each Sunday holds a bustling flea market. 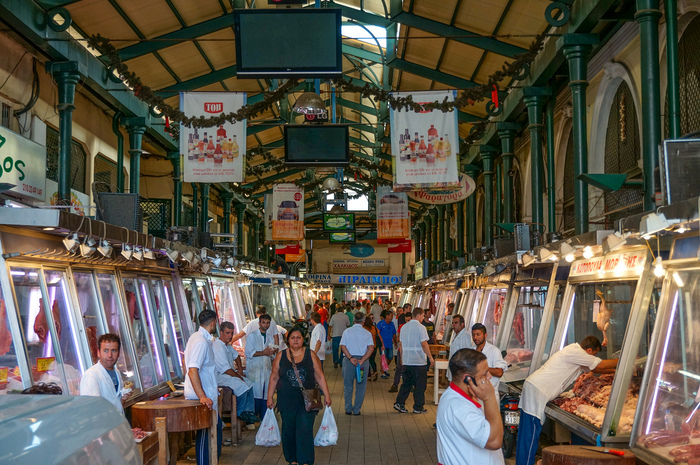 You’ll find anything and everything within these markets, as well as an intoxicating aroma of fresh Greek cuisine. If you are going, try to get there before 11am. 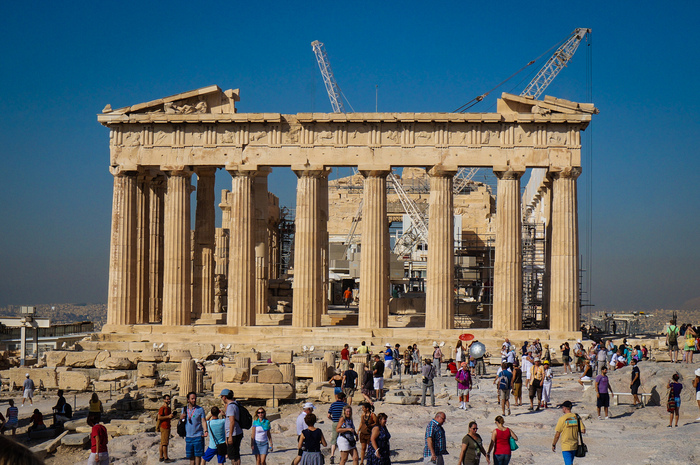 It is a popular tourist spot, but the Greek love it as well, so it gets super busy. This place is outrageously large. I don’t know if we even covered half of it in the several hours we spent there. 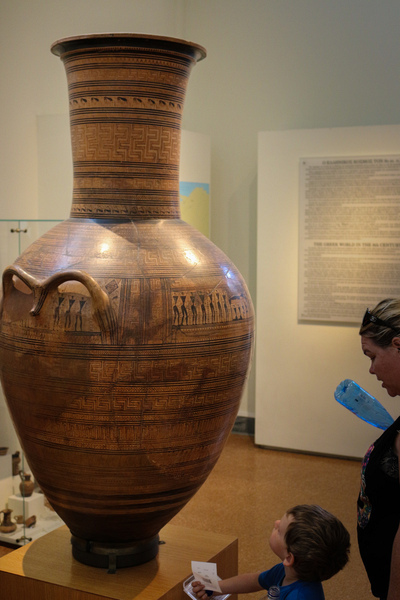 It houses some of the most significant ancient artefacts in Greece. 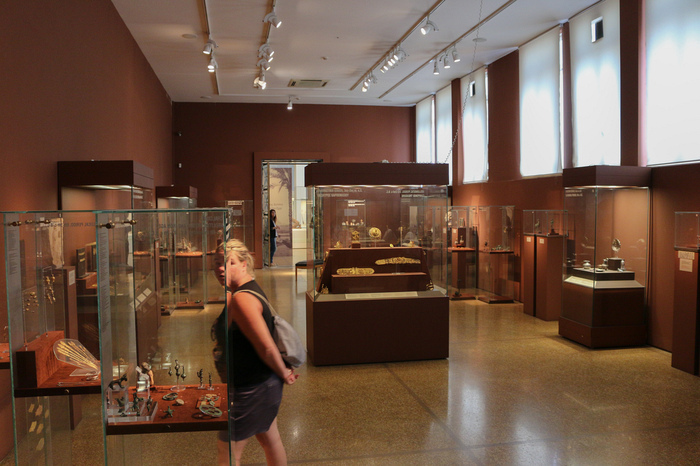 It’s been said to be one of the greatest museums in the world. 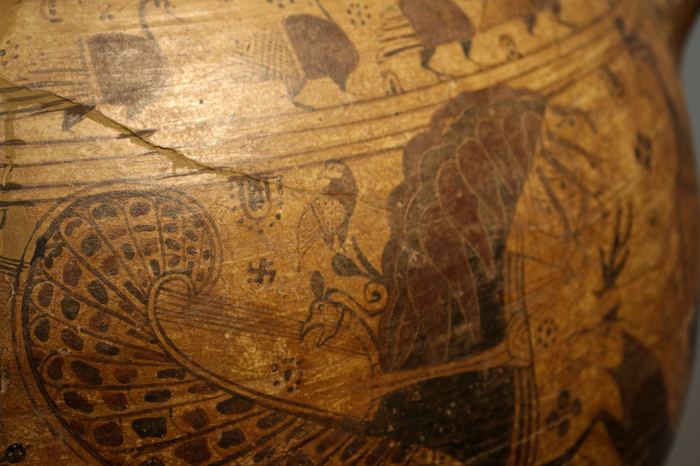 You’ll find pieces dating back to prehistoric eras, even as far back as 6800 BC! Realistically, young kids are not going to have as much fun in here so be prepared to either split the visit over separate days, bring the smartphone as a distraction, or maybe go without them – or like we did, just promise them an ice cream at the end of it! How can you go to Greece and not have a Gyro? These delicious classic Greek lunch snacks have made their way around the world and it all started here. 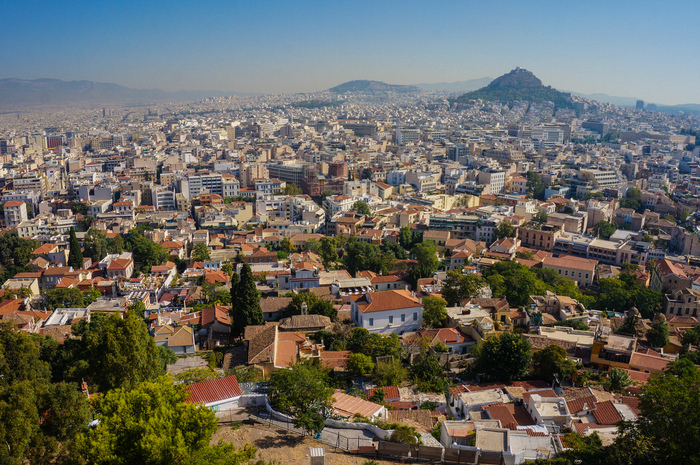 In the centre of town are 3 streets, that on a map look like a triangle, and these streets hold some of the most wicked and delectable gyros in Athens. Our favourite was a small out-of-the-way hole-in-the-wall called Kostas, which claims to have the best souvlaki since 1950. Cost – I’m sure it was no more then €2. Location - Pentelis 5, Syntagma. A small street off the main drag, best use a Google map and a keen eye for this one. 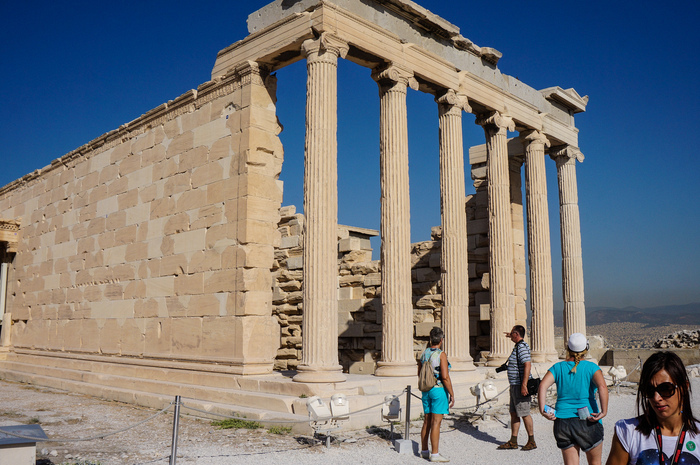 This temple was built between 472 and 456 BC dedicated to the main god, Zeus. A little way from the Acropolis it’s a convenient stop on the hop-on-hop-off bus. 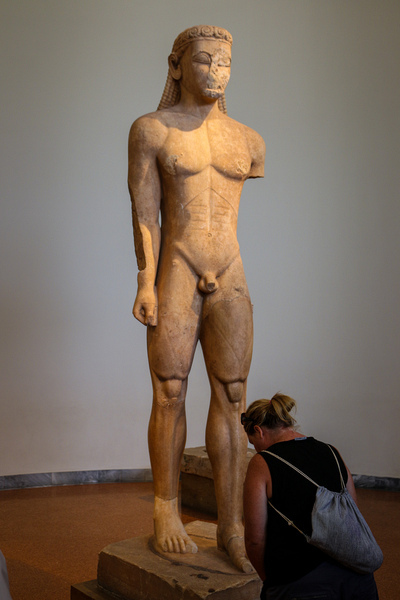 The most amazing thing about this temple was that it housed a 43-foot statue of Zeus, which was one of the Seven Wonders of the Ancient World, until its eventual destruction during the 5th century AD. Beside the Temple of Zeus is also the Arch of Hadrian. This monumental gateway spanned an ancient road from the centre of Athens to the Temple of Zeus. The great thing about all these locations is the easy access via train, tram, bus or walking. Since it’s such an ancient city, streets aren’t quite as organised compared to a city like New York. So bring along your map (or Google maps) to ensure you end up in the right place. Well, we knew about the Acropolis and the Museum - but we didn't know about the "gyro triangle." We'll be in Athens in the fall, so we'll definitely try a gyro there! (Can't resist anything to do with lamb :-). Have done all these on our honeymoon trip to Greece. Not sure if we had the triangle but we did have gyros there. They have great lamb. And great salads. Anywhere you go food is fresh.